The chapter of Riba in the religion of Islam is of a sublime significance. For a believer to stay away from this, one has to know about it in a detail. The evil tree of usury is getting watered day by day by the followers of all religions; be it Christianity, Judaism and Islam. The monster is growing at a hell pace. Though the true teachings of all these religions strongly condemn and prohibit usury in their original versions. Later the clerics of Jews and Christian churches abandoned the prohibitions relating to Riba (interest, usury). The present world is filled with the filth of Riba. It has become almost impossible for an individual to stay away from this evil. 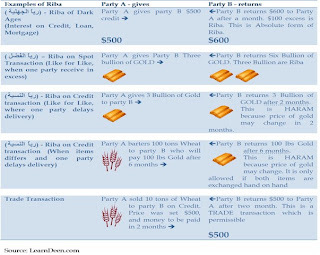 Over 90% of the financial transactions that are carried in todays world contain partial or complete essence of riba in it. Prophet Sallallahu alaihe wasallm had warned 1400 years ago: A time will certainly come over the people when none will remain who will not devour usury. If he does not devour it, its vapors will overtake him. 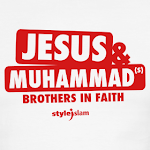 (Ahmed, Abu Dawood, Nisai, Ibn Majah). In simple words Riba can be defined as a loan with the condition that the borrower will return to the lender more and better than the quantity borrowed. 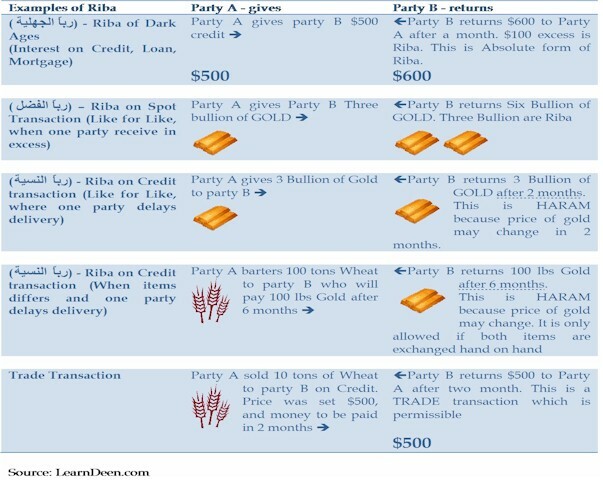 The literal meaning of interest or Al-RIBA as it is used in the Arabic language means to excess or increase. 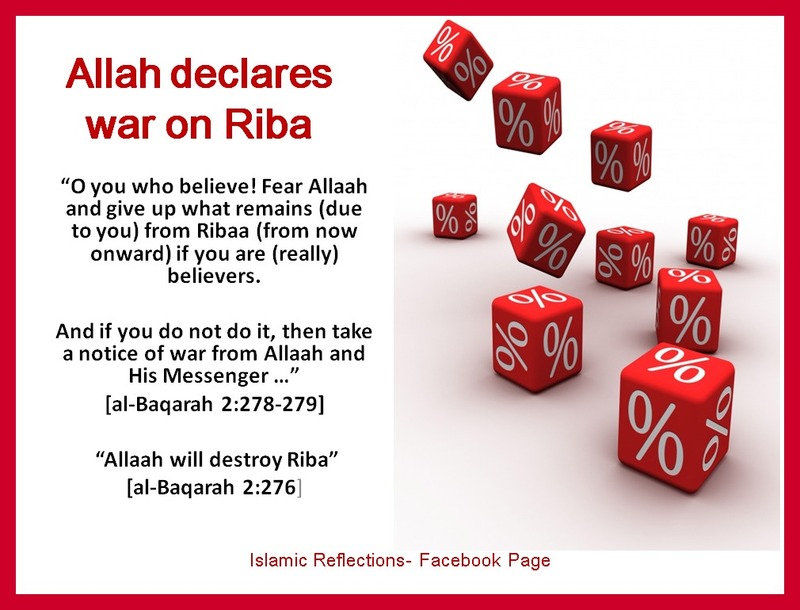 Allah never said that He and His messenger would wage war against one who commits any evil deed except Riba. Allah SWT says “If you do not, take notice of war from Allah and his Messenger but if you repent you shall have your capital sum. Deal not unjustly and you shall not be dealt with unjustly.”(Surah Al-Baqarah verse no.279). above mentioned verses of Holy Quran. Hazrat Abu Hurairah reported that the Messenger of Allah Sallallahu alaihe wasallm said: Usury has seventy divisions. The easiest division of them is like a man marrying his mother (Ibn Majah)One can easily understand the magnitude of the crime through the . Again in another tradition Prophet Sallallahu alaihe wasallm said: A dirham of usury that a man devours and he knows, is greater than 36 fornications (Ahmed). In one tradition prophet said, “This night I dreamt that two men came and took me to a Holy land whence we proceeded on till we reached a river of blood, where a man was standing, and on its bank was standing another man with stones in his hands. The man in the middle of the river tried to come out, but the other threw a stone in his mouth and forced him to go back to his original place. Apart from the one who gives and one who accepts interest, the person who writes the transaction or the one who bears the witness are also equally culpable. Hazrat Jabir R.A. has reported that the messenger of Allah PBUH cursed the devourer of usury, its payer, its scribe and its two witnesses. He also said that they were equal (in sin). One fact that we must always remember is that ALLAH has bestowed us a very short life in this world and within this period, we have to achieve milestones. The biggest of all the milestones is paradise, which is our ultimate goal. Riba, for sure puts one into hell forever. 5 "Suppose there is a righteous man who does what is just and right. 6 He does not eat at the mountain shrines or look to the idols of the house of Israel. He does not defile his neighbors wife or lie with a woman during her period. 8 He does not lend at usury or take excessive interest. He withholds his hand from doing wrong and judges fairly between man and man. 9 He follows my decrees and faithfully keeps my laws. That man is righteous; he will surely live, declares the Sovereign LORD. 11 (though the father has done none of them): "He eats at the mountain shrines. He defiles his neighbors wife. “ Think not that I am come to destroy the law, or the prophets: I am not come to destroy, but to fulfill. commandments, and shall teach men so, he shall be called the least in the kingdom of heaven: but whosoever shall do and teach them, the same shall be called great in the kingdom of heaven. From H5391; interest on a debt: - usury.